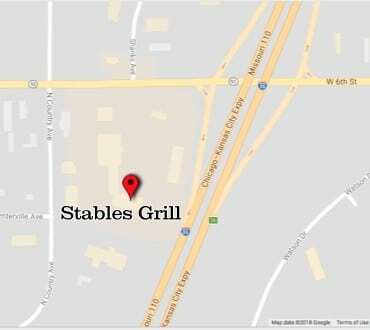 Stables Grill is at Stables Grill. Kelly Krysa Myers look at these! We must try them sometime. Stables Grill shared a post. When you come to Stables, you’re not just our customers, you’re our friends. Really good food, drinks and excellent service! This is a wonderful place to grab a bite to eat. If we lived in the area we would definitely go back. Very good place to take a family. And out of town guests. Affordable and good portions. Love the homemade desserts! The food has always been great and very large portions as we always have leftovers. Super friendly staff! Great homemade food. Huge portion sizes. Filling. I was craving desert but nothing sounded good. The bartender heard my conundrum and came to the rescue. Ultimate mudslide with ice cream! Amazing!! Thank you for making my night complete. Excellent! Great food! Great service! Fun place to hang out! Great food and atmosphere love this restaurant…service is great also. © 2018 Stables Local Kitchen & Patio. All Rights Reserved.